As its name suggested, the Zero Star Hotel means you have zero covering and can see star all night. 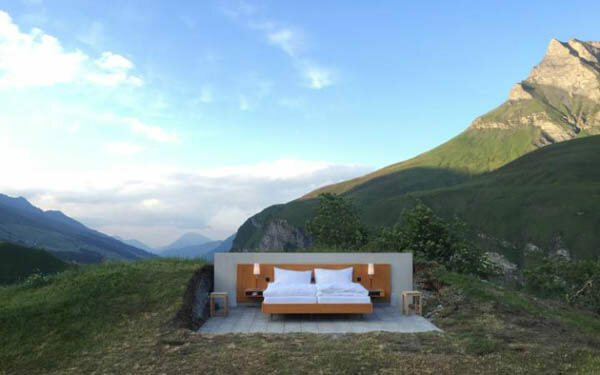 Located 6,463 feet above sea level in the mountains of Graubünden, this open-air hotel has no walls, roof or bathroom. 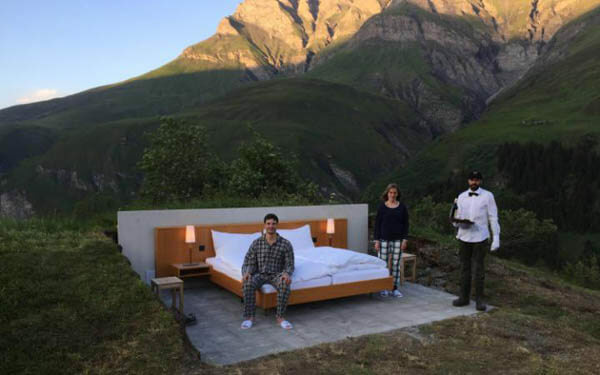 It is a new concept brought up by the brothers behind Null Stern Hotels who try to redefine the minimal hotel experience. And it is indeed truly minimal, because all the thing you are getting is a bed with a couple of nightstands and stools. 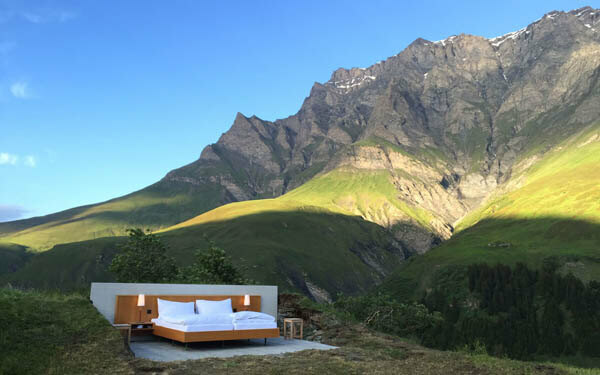 Of course, the price of $250 / night is not for the room but the incredible view that comes from sleeping on a Swiss mountainside and full experience of country’s landscape. Not sure how you like this idea. I have to admit I am not that kind of person would like to travel 10 minutes to use facilities at a public bathroom and pay $250 for a night. I can get the same view and experience when I camp there.